Headlines related to artificial intelligence are ubiquitous in 2019—automation displacing workers in industrial settings, self-driving cars on the cusp of taking over our roadways, and machines diagnosing diseases in patients with a higher rate of accuracy than even the best-trained physicians. Artificial intelligence is just as omnipresent in our daily experience whether it’s Netflix telling you (with alarming accuracy) what you would like to watch, Amazon knowing when you are out of dog food, or Spotify recommending what turns out to be your new favorite band. Examples are endless—for more, just ask Alexa, Siri, or Google Assistant. What colleges offer an AI major or track? What courses will I take to earn a degree in artificial intelligence? How can I get accepted into an AI program? What is the job/salary outlook for AI degree holders? Let’s begin by exploring which U.S. universities offer programs in AI. Where can I major in Artificial Intelligence? Carnegie Mellon University, one of the nation’s top engineering schools just launched an undergraduate degree program in artificial intelligence in 2018-19. They are the first U.S. school to do so—fitting, since two Carnegie Mellon researchers created the first artificial intelligence computer programs in the mid-1950s. The Milwaukee School of Engineering followed CMU’s lead, announcing the formation of their own Computer Science/AI program shortly after. Many other elite universities do not offer full-blown AI majors, instead only granting degrees at the master’s and doctoral levels. Fortunately, for those seeking to tackle AI as an undergrad, many other top tech institutions do offer a track or concentration in AI as part of a computer science degree. For example, AI is one of the nine tracks that CS majors at Stanford University can select. 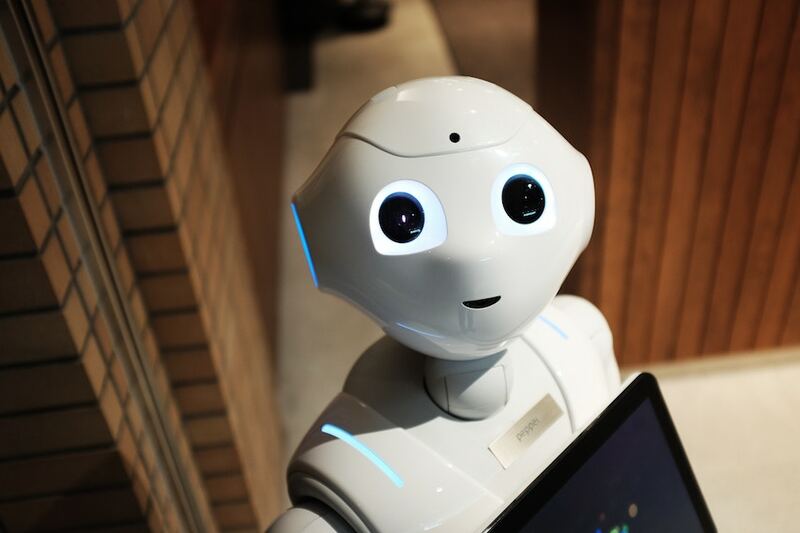 Students in this program take courses like: AI Principles and Techniques, Natural Language Processing, Robotics and Control, and AI Methods. Caltech offers their CS majors a similar track in Machine Learning and Artificial Intelligence. The University of Illinois offers their Computer Engineering students a specialization in Artificial Intelligence, Robotics, and Cybernetics. For those lacking the credentials to apply to some of these aforementioned elite programs, schools like UNC-Charlotte, UMass-Amherst, and Oregon State University offer similar tracks/specializations in AI. To earn a degree in Artificial Intelligence, you can expect to take a core of computer science classes covering topics such as: Imperative computation, functional programming, sequential data structures and algorithms, and computer systems. Math requirements will involve coursework in areas such as: Differential and integral calculus, matrices and linear transformations, modern regression, probability theory, and integration and approximation. That is a sampling of what you will take once you’re in college but what courses can you take in high school to: a) help you gain admission to an AI program; and b) prepare you for success in your undergraduate study? What high school courses should I take? For starters, high schoolers eyeing entry into a top artificial intelligence program should take a full order of honors/AP courses in physics, chemistry, biology, calculus, trigonometry, geometry, and statistics. Additionally, students should take discrete mathematics since this is the foundation of modern day computer science and includes topics such as combinatorics, probability, number theory, logic, and graph theory. While discrete math is a staple of most high school math competitions, it is not always offered by schools due to the fact that its content is not the primary focus of high-stakes state standardized tests or the SAT. Therefore, you may have to take a summer course at a local college or study the subject on your own. Likewise, if your high school lacks a robust Advanced Placement or International Baccalaureate program then it is imperative that you seek out high-level math and science options via dual enrollment at a local college. Average salaries for AI jobs are estimated to be upwards of $140,000, making it as lucrative a field as one could hope to find. Presently, there is a gap between the pressing need for AI experts and the number of trained experts available, thus creating a favorable marketplace to highly-qualified AI degree holders. All signs point to a rosy picture for those with this skill-set as evidenced by a seemingly never-ending run of relevant statistics. While the Bureau of Labor Statistics doesn’t track AI as a unique field, computer science jobs as a whole are expected to grow 19% from now until 2026. Further, the number of jobs requiring AI knowledge has grown by 450% since 2013. As of 2018, only 15% of enterprises were using AI but 31% were expected to using its capabilities in the next 12 months. The artificial intelligence healthcare market alone is expected to be worth $36 billion by 2025…You get the idea—AI is about as in-demand a skill-set as one can find and this is likely to continue well into the future. Some would argue against over-specializing during your undergraduate study given how rapidly technology develops. While this is, in many cases, a wise course of action (shed a tear for VCR repairmen and phone booth makers), AI programs still provide students with a sufficient dose of general engineering and computer science coursework to prepare them for any type of career in tech industry. Additionally, it’s hard to imagine AI ever disappearing in our lives. Rather, it seems almost certain that its involvement in our lives will only expand and deepen in the coming decades.